Given the recent financial meltdown and continuing economic problems the country and the world are facing, Rethinking Capitalism is particularly relevant. With the government having bailed out banks and other financial institutions as well as automobile companies, and anger over the compensation and severance packages provided to the managers of failed institutions in light of growing inequalities and continued high unemployment in American society, many are wondering if self-interest driven free-market capitalism is still viable. While there is some support for more active government regulation of financial and other institutions, there is also significant opposition to such an approach as new political movements gain strength. Are there other alternatives to create a more responsible capitalism that serves the entire society? Rethinking Capitalism questions the individualistic assumptions of a capitalist society and offers a new way to understand capitalism that entails a new role for business based on community and responsibility. Using classical American Pragmatism as a philosophical framework for capitalism, Professor Buchholz analyzes the history of capitalistic thought and proposes that we recast management as a profession akin to law and medicine oriented toward serving the public rather than just maximization of shareholder wealth. 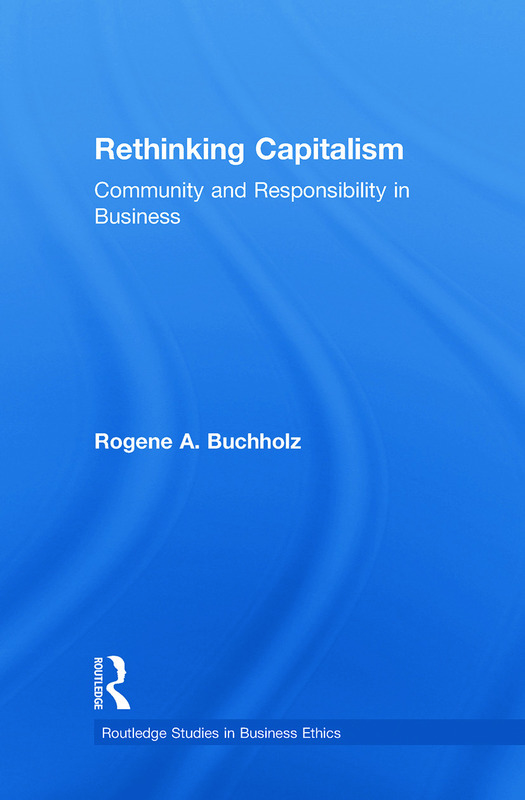 Buchholz challenges the way we understand capitalism with its emphasis on the creation of economic wealth and growth to the exclusion of other important goals and champions a new approach to the creation of a more sustainable and responsible functioning of the capitalistic system, the corporate organization, and its management.